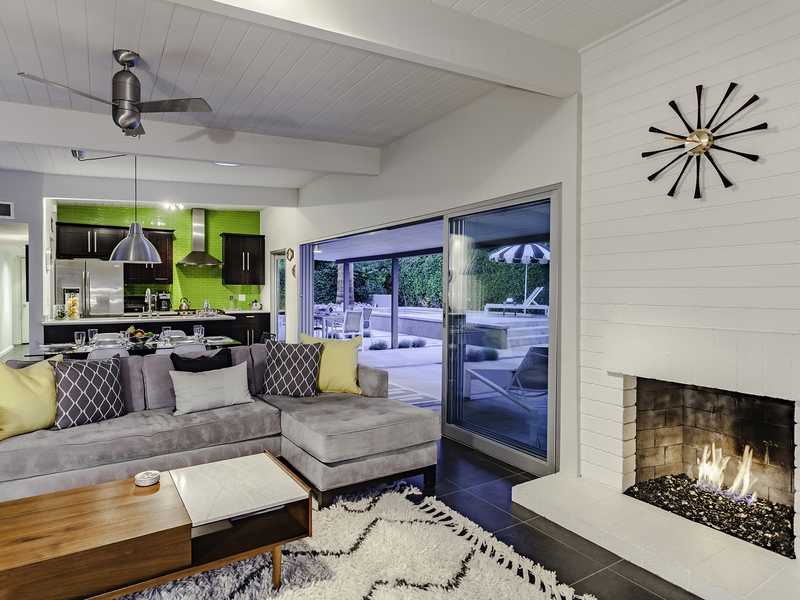 Absolutely stunning remodel of a classic midcentury Alexander home (circa 1958). This property has been lovingly restored - respecting its architectural pedigree while updating it for the way we live today. The renovation preserved the original open concept floor plan, clerestory windows, and iconic post and beam ceilings - while giving it a completely "next century" makeover with all new kitchen and baths, movable walls of glass, high speed internet access, updated heating and cooling system, and four flat screen Smart Televisions. 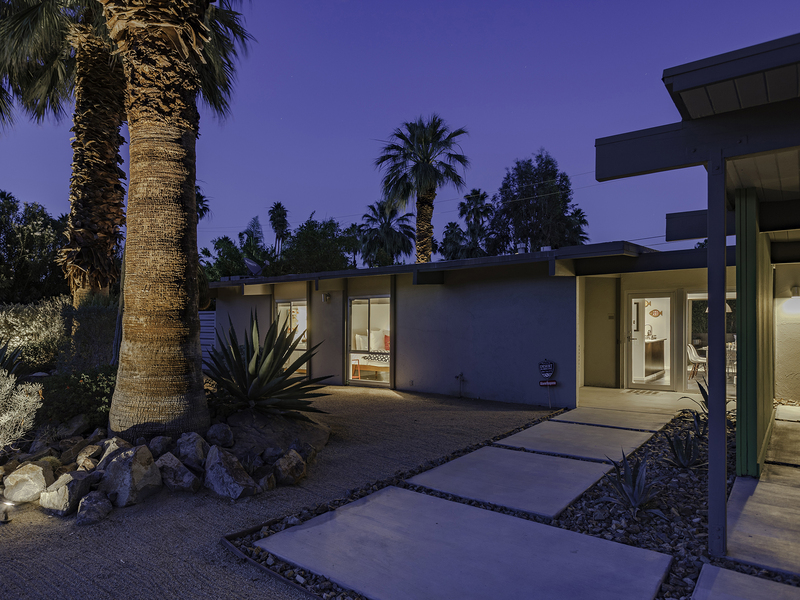 Similarly, the outdoor spaces retain their original mid mod vibe - but they have been completely reimagined and space planned to create a fabulous and very "now" Palm Springs Vacation Home Rental. 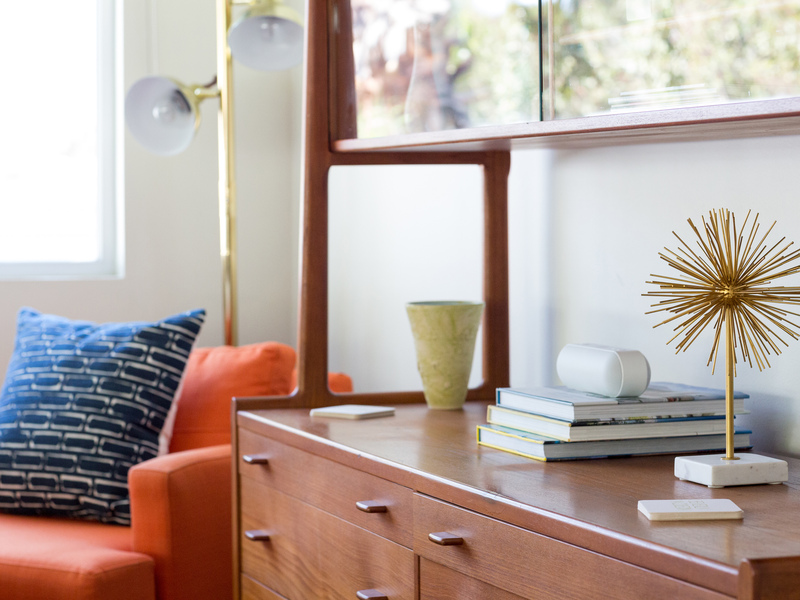 Beverly Modern is beautifully nostalgic while very "next gen" at the same time. It has just been added to our Vacation Home Portfolio - so advanced bookings are strongly advised. 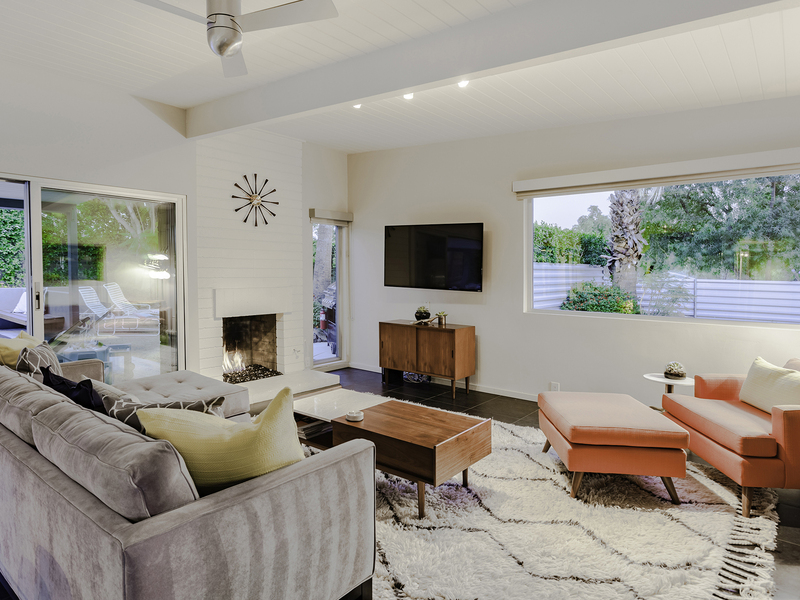 Gorgeous in its simplicity, as Mr. Alexander and his architects Palmer and Krisel intended, you'll find clean lines, an open concept floor plan and very comfortable midcentury-inspired furnishings. The living room, dining area and kitchen are all open to each other - providing enough space for your entire group to gather, relax and enjoy. 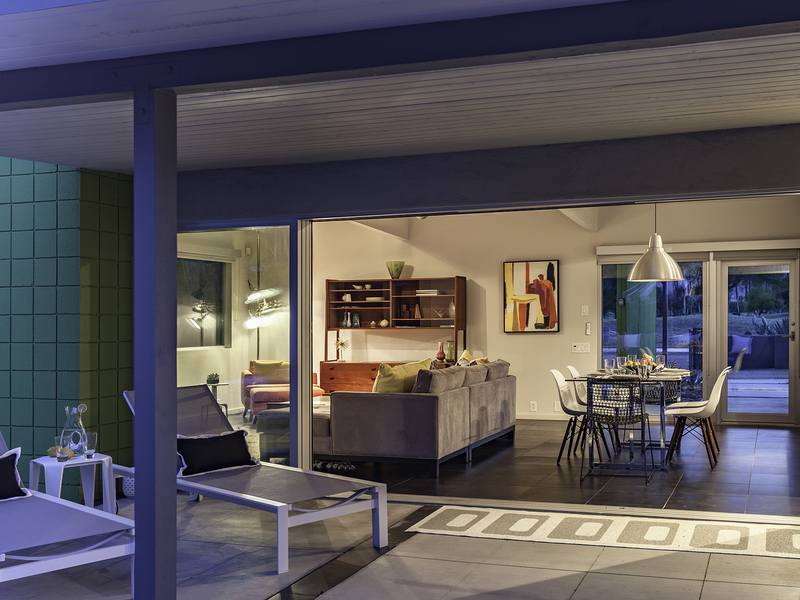 The entire back of the house features movable floor to ceiling retractable glass walls - that blur the lines between indoor and outdoor living in true Palm Springs-style. This home is very livable'very comfortable'.and very hip without being trendy. 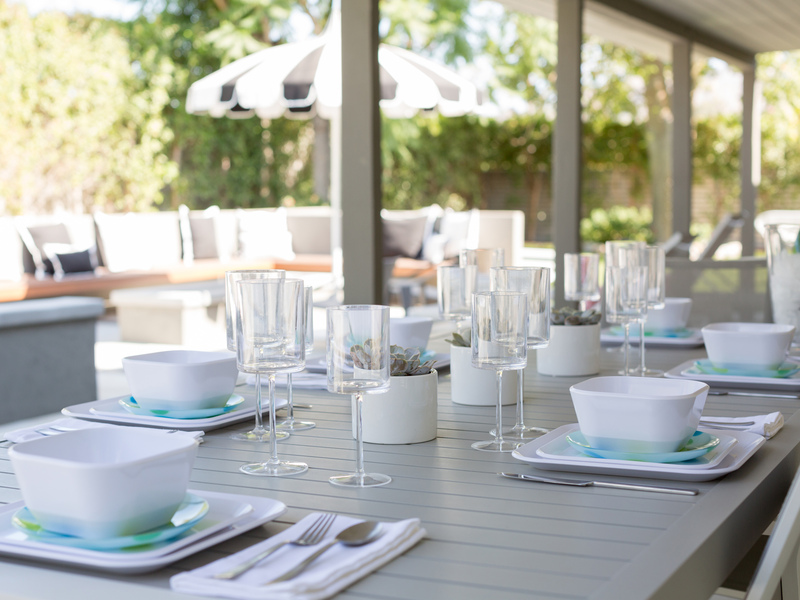 Beverly Modern captures the magic of Southern California glamour. The views from both inside and outside the house are simply stunning. You'll find privacy walls, mature plantings, towering palms, water features and gorgeous landscaping that is drought-conscious and lush at the same time. The backyard itself is heavenly. So private, spacious and well-planned. The inground pool is gorgeous. The outdoor living room looks like the patio garden of an upscale restaurant with it's long built in benches, firepit cocktail table and additional occasional seating. There are two separate eating areas, a barbecue, poolside chaise lounges, bocci ball court, and shade umbrellas. 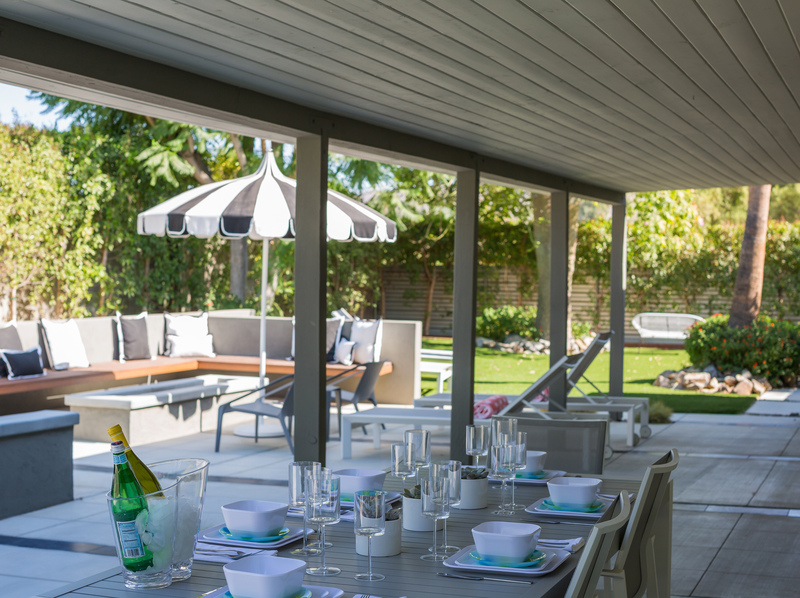 Sophisticated modern style meets 1950s sensibility to create this fabulous outdoor space that certainly has the Wow factor. All of the bedrooms feature comfortable hotel-quality mattresses, ample storage, and flat screen televisions.The master bedroom offers a King-sized bed, an en suite bath, and direct pool access. The two Queen guest rooms share a bath. This home sits on an impressive corner lot in the Little Beverly Hills neighborhood - an intimate enclave of 84 single family homes - all built by the Alexander Building Company between 1957 and 1959. This is a quiet, picturesque and very walkable community bordered on two sides by a golf course. The panoramic fairway vistas and awe-inspiring mountain views are spectacular. The emphasis here is on easy living in the sunshine.The hustle and bustle of Palm Springs seems as though it is miles away from this sleepy little part of town - but grocery stores, casual eating places, sandwich shops, burger joints and frozen yogurt cantinas are all just blocks away. You can even walk to the Saturday morning Farmers Market or take in an independent film at the local movie house that hosts many of our Palm Springs Film Festivals. Concierge Services including Daily and Mid-stay Maid Service, Private Chef, Pre-arrival grocery stocking and poolside massage can be arranged. Three-week prior notice requested. Advanced Booking strongly advised. 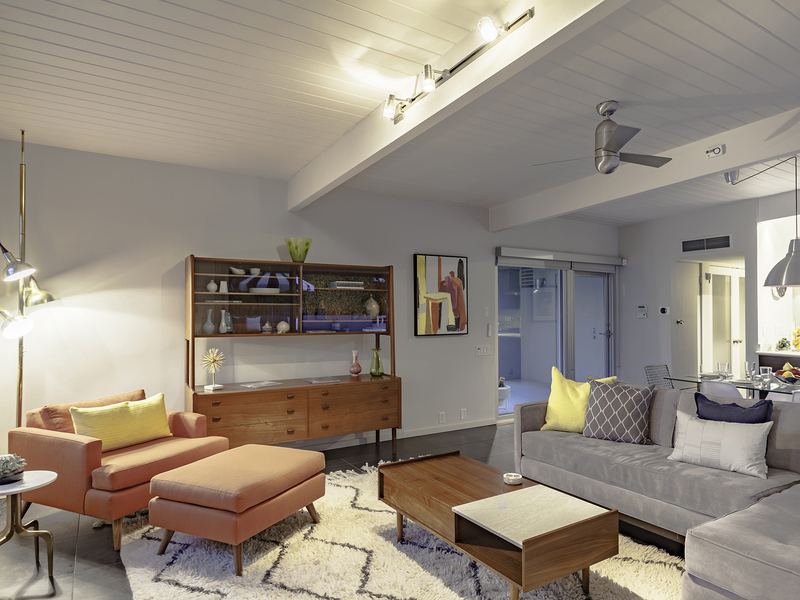 Beautifully appointed mid-century modern home; excellent customer service! "Two friends and I had had the pleasure of a long weekend stay at the Beverly Modern, a perfect home for relaxing and recharging. Spotlessly clean with pretty arrangements of furniture, media and art in every room, the house and neighborhood are quiet, the pool and water feature so calming. A large yard and patio offer nooks for private reading and meditation, or playing bocce ball and barbecuing. All the beds were super comfortable. Amenities were upscale hotel quality. The thorough house booklet helped us choose from a big array of downtown restaurants and shops, and the Acme concierge and welcome team was helpful and professional...We had a blast and will definitely return to this lovely and comfortable home!" "Accommodations were great! I wish the pool was a little bigger and had more sun exposure late in the day. However, I would definitely stay at Beverly Modern again!" "This property was exactly what I wanted for a long weekend with my girlfriends! The location is ideal - near town, great view, quiet. We loved the outdoor fire pit, the small pool (just right for visiting!) and the space outdoors. 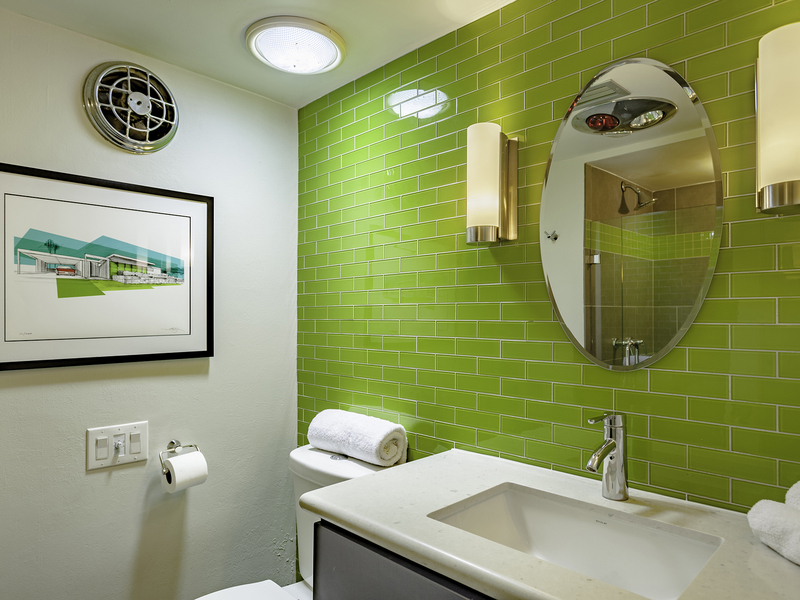 The interior is beautifully decorated, mid-century modern and plenty of room for the 6 of us. We hired a photographer for one afternoon and many of our shots were taken right here on the property because it is so attractive. I would recommend it for any adult group." "Five stars...Incredibly comfortable and beautifully appointed home inside and out. I was on a girls weekend and was so pleased with our stay. Close to town and in a very quiet spot. The bedrooms were very well appointed and the linens were fabulous and plenty of towels. The kitchem was complete with everything one needs. The pool is lovely and the yard is very private. I look forward to another visit soon.We would definitely stay here again. Two friends and I had had the pleasure of a long weekend stay at the Beverly Modern, a perfect home for relaxing and recharging. Spotlessly clean with pretty arrangements of furniture, media and art in every room, the house and neighborhood are quiet, the pool and water feature so calming. A large yard and patio offer nooks for private reading and meditation, or playing bocce ball and barbecuing. All the beds were super comfortable. Amenities were upscale hotel quality. The thorough house booklet helped us choose from a big array of downtown restaurants and shops, and the Acme concierge and welcome team was helpful and professional...We had a blast and will definitely return to this lovely and comfortable home!" "We had a great time at Beverly Modern. This house does not disappoint. Acme was so organized and a pleasure to deal with. They made sure that everything we could have asked for was taken care of. We will definitely be visiting again." Lived up to our expectations! "Excellent customer service and the house was lovely. Easy to book, hassle free! Couldn't believe the heat!" "Beautiful and well-maintained property. ACME House Co. was always helpful with all of our questions - both before and during our stay. The house was fantastic!!" Just loved the stay entirely! "Great customer service, immediate on-call service at the site - great to reserve with. 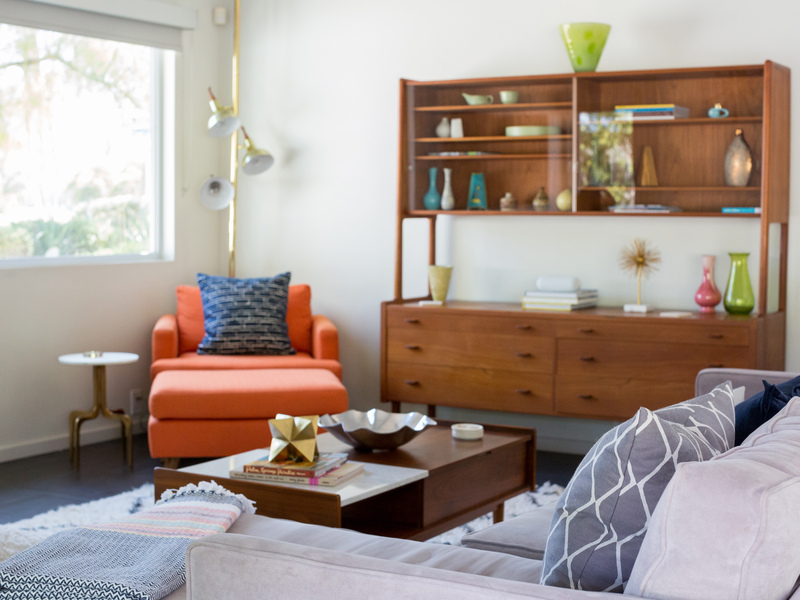 I specifically wanted a Mid-Century Modern home and ACME House Co. had the best selection. The biggest surprise was how comfortable the beds were! Simply amazing, and we tried to see what brand they were. I think the house should have a first aid kit; got stung by a bee and needed something! Outdoor fans would be a nice addition to the patio roof - and extra boxes of Kleenex would be good. The house was spotless and so well stocked - loved it!" 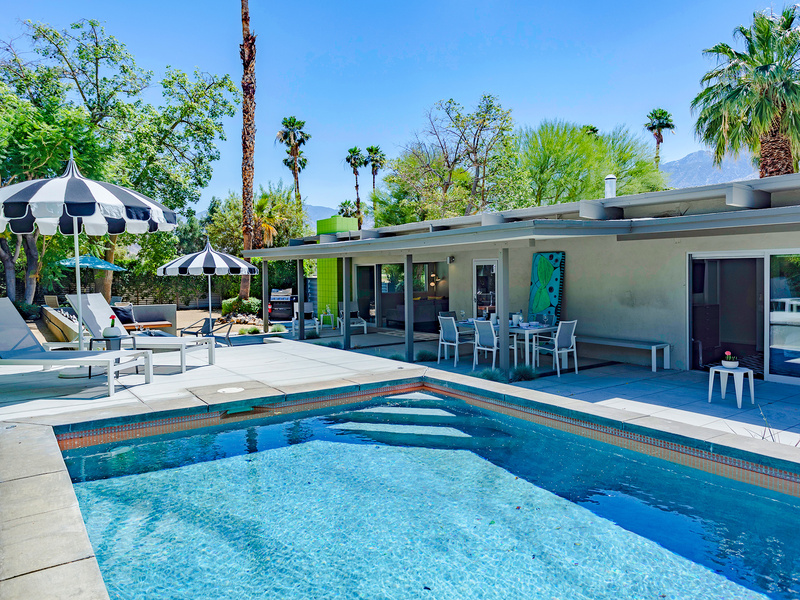 "Our goal was to immerse ourselves in the MCM lifestyle during our brief stay in Palm Springs and the photos on your website exemplified the property as exactly what we were looking for. The property was exactly as shown in the photos. It actually exceeded our expectations. There were no surprises. The house was so well-stocked, the beds were so comfortable, the outdoor living area including pool, patio, lawn and bocce ball court were fun, and inviting, and the decor was sublime. My husband and I loved our morning walks especially through the neighborhood. Walking up and down each street in Little Beverly Hills is like taking a self-guided tour of MCM homes - so fun! We also enjoyed walking the perimeter of the golf course across the street and down through the nearby park. The location of this neighborhood is perfect - out of the fray but so convenient to everything. We got lucky with the weather, it was low 100s when we arrived so the pool was great; it got cooler a few days later so we were able to enjoy the outdoor firepit, opening up all the sliders and bringing the outdoors in. The beds were so comfortable and the furnishings, linens and artwork so tasteful, fun and in period. The poolside umbrellas were a little tricky to open so we called the office and they had Cesar come right over and open them for us. ACME House Co. is a class act, and this property is simply fabulous - GO!" "Great value for a super cool mid mod home with great views, very private pool yard, and really comfortable bedrooms. We loved everything about this home especially how clean and well maintained it was. The entire getaway was all magic. The Acme House Company team really has their act together. The whole process was seamless!" "The house was stylish and pristine! ACME House Co. was very responsive, and easy to work with. The best part was the pool! It was smaller than it appeared to be in pictures, but it didn't take away from the trip. " Manager Response: Thanks for the feedback Charles. 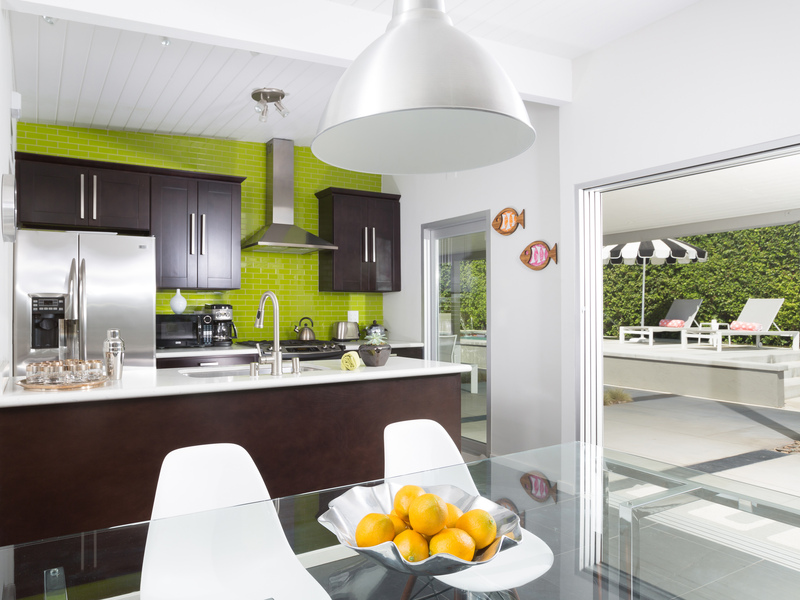 This is fast becoming one of our most popular Mid Mod vacation homes. The entire property is really fantastic and has been restored so well. While the pool here isn't the largest in our portfolio - people are just loving how "Swank like Frank" the yard is. 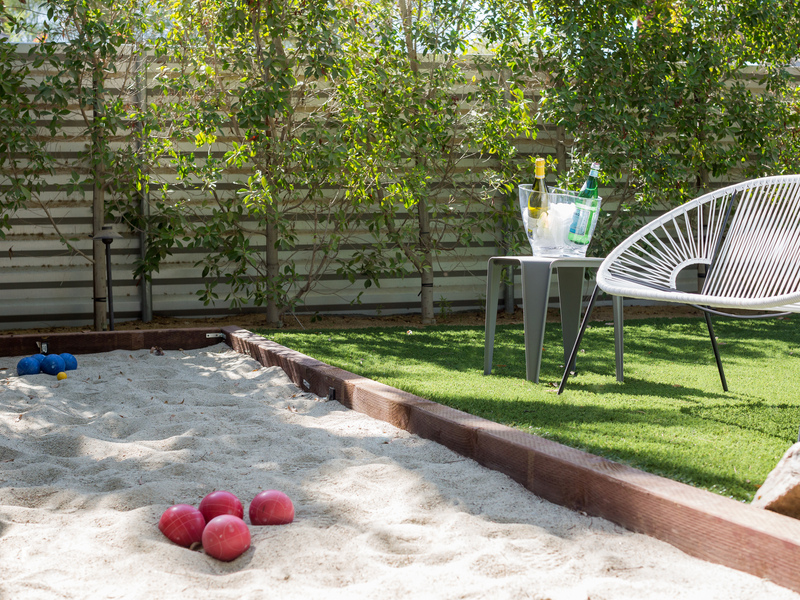 We're sure you got to spend lots of time enjoying the privacy and the new Bocce Ball court. Don't forget to use your past guest discount when reserving your next stay. 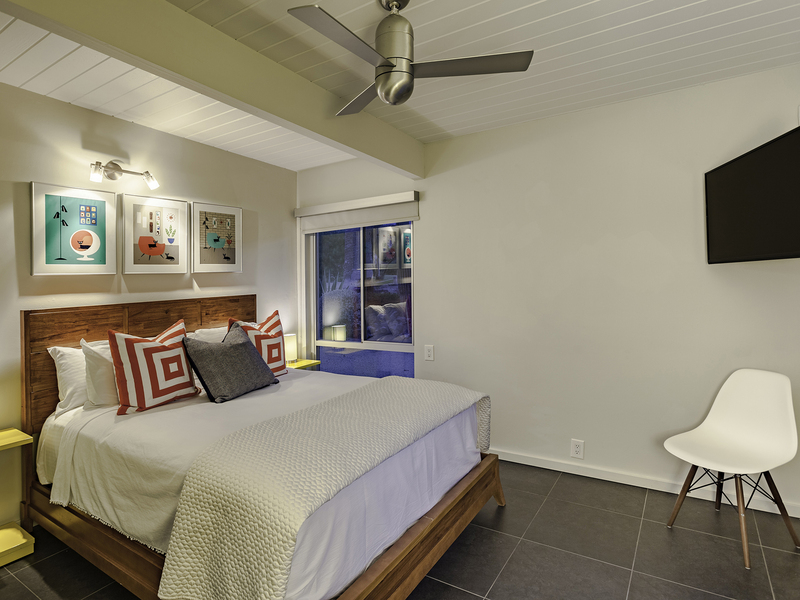 "ACME House Co. is THE best rental agency in Palm Springs! Each time I have rented homes from the agency, I've had a great experience. 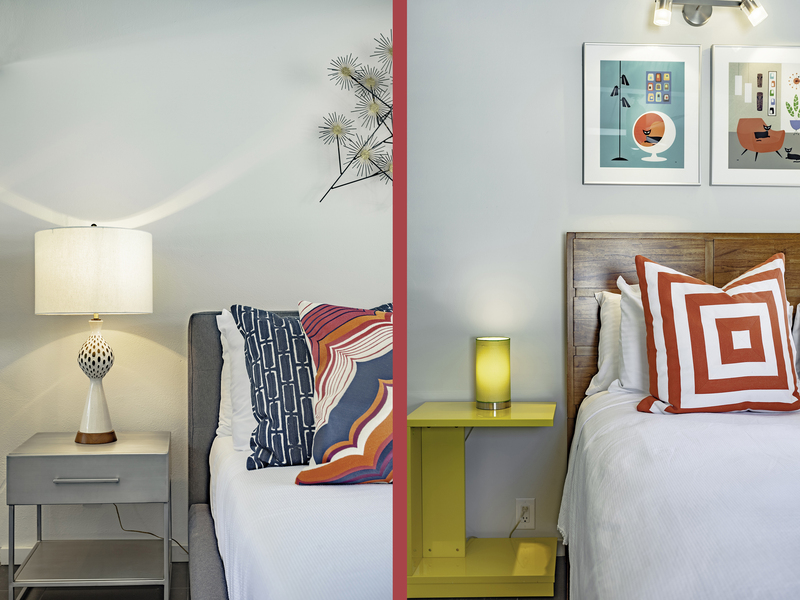 The homes are stylish, fun, and well organized. An excellent overall stay!" "Just came back from an awesome Labor Day week end at one of the ACME house "Beverly Modern". Everything was top notch...house was beautiful, super clean, cozy & comfy! Best of all, ACME's customer service was flawless. Definitely will spend another vacay at one of the ACME House in the near future!" "Great customer service! We had some confusion with the pool and landscape lights, and ACME House Co. sent someone out right away. The house was extremely clean. We found everything we needed, the kitchen was extremely well equipped, excellent beds, decent barbecue, very comfy! Loved the house set up & decor! It felt like a real vacation... Not just a weekend in Palm Springs! " Manager Response: Thanks Izabel - you were all great guests. We enjoyed having you and hope you will come back again soon. 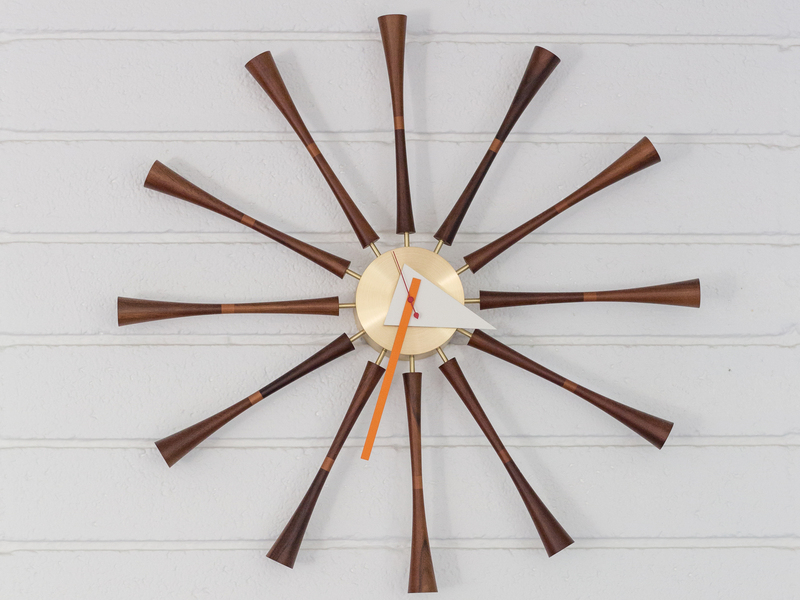 And yes - Beverly Modern is one of our favorites. We were very happy to add it to our portfolio. "Beautiful house and location. Lots of privacy with the enclosed backyard. The pool is perfect and the Bocce Court is awesome. Very clean and well-maintained. 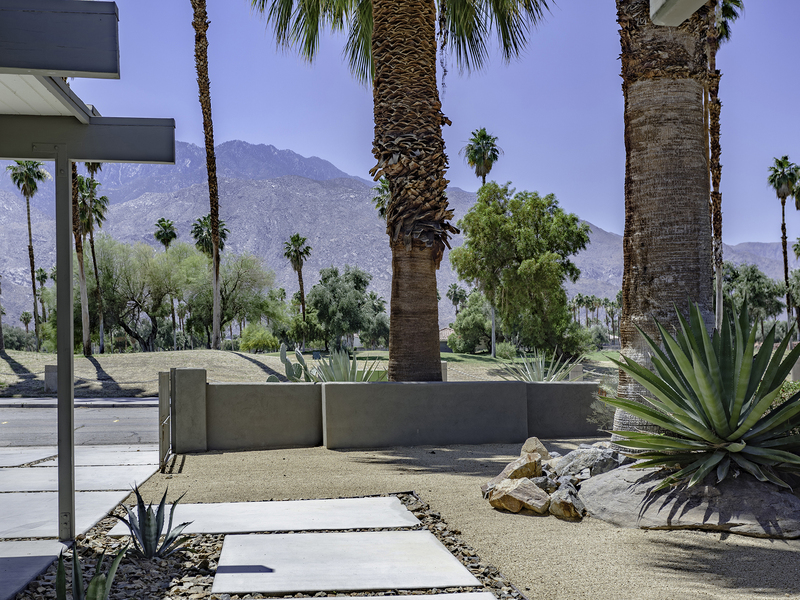 2 minute drive from downtown Palm Springs...everything you could possibly want. Love to go back soon!" 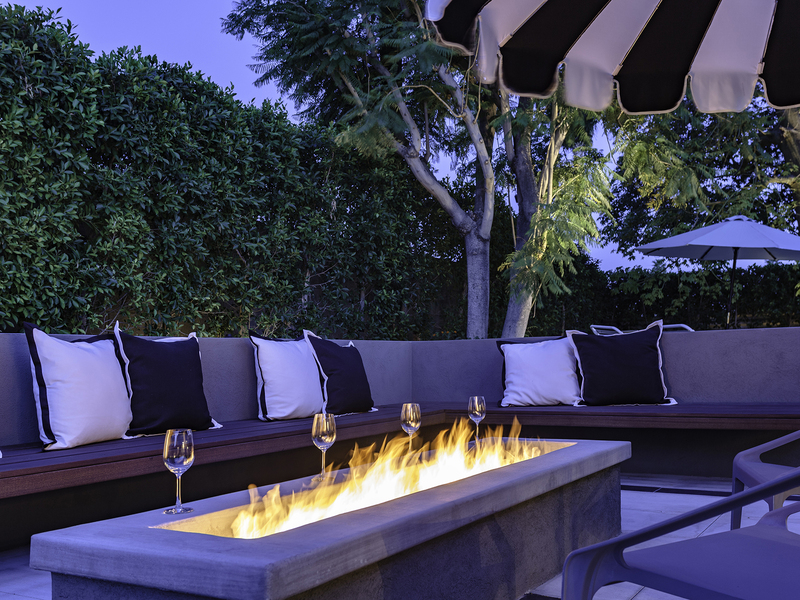 "I absolutely loved my stay at Beverly Modern! The decor in the home is so cute and bright, it made me happy just walking through the door. The best part of the home is the backyard, we were there for a girls trip, a mini bachelorette party, and even though it was hot out we spent the majority of our time in the pool and out on the patio. It was perfectly relaxing and the home has a beautiful mountain and golf course view. 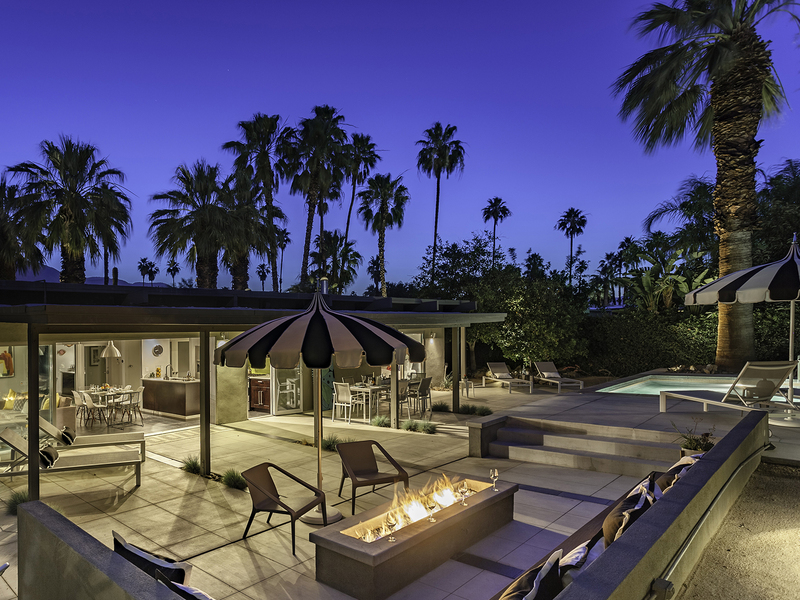 I don't think I'll ever stay anywhere else in Palm Springs!" 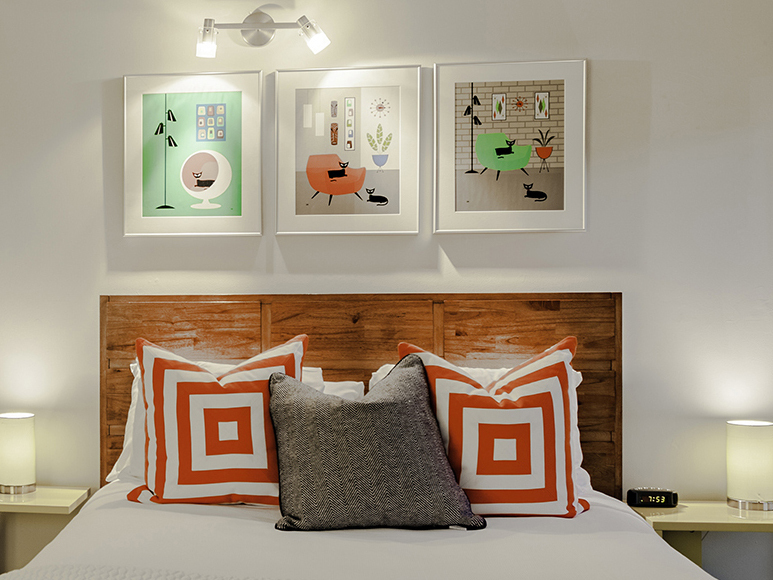 "I loved my stay at Beverly Modern! 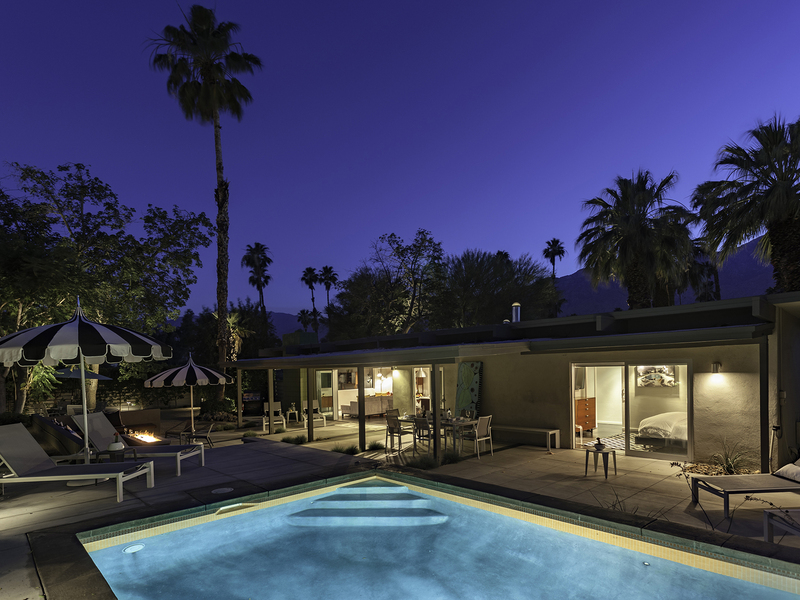 If you're looking for a perfect weekend getaway in Palm Springs, you need to stay here. We loved relaxing in the pool and playing bocce ball! Oh and the mattresses were so comfortable! We can't wait to get back to Beverly Modern! " 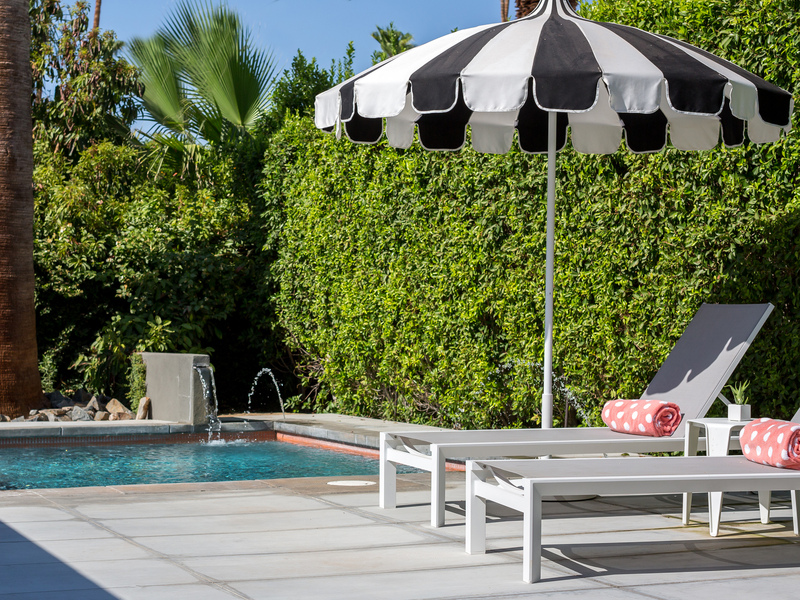 "Perfect spot for a getaway to Palm Springs! Outdoor & indoor space is perfect for relaxing. Ideal location to shops & dining in downtown PD. We loved our stay - be back soon!" Best House in Palm Springs! "Beautiful homes, great service. Very comfortable and private! Loved how comfortable all of the beds were! " 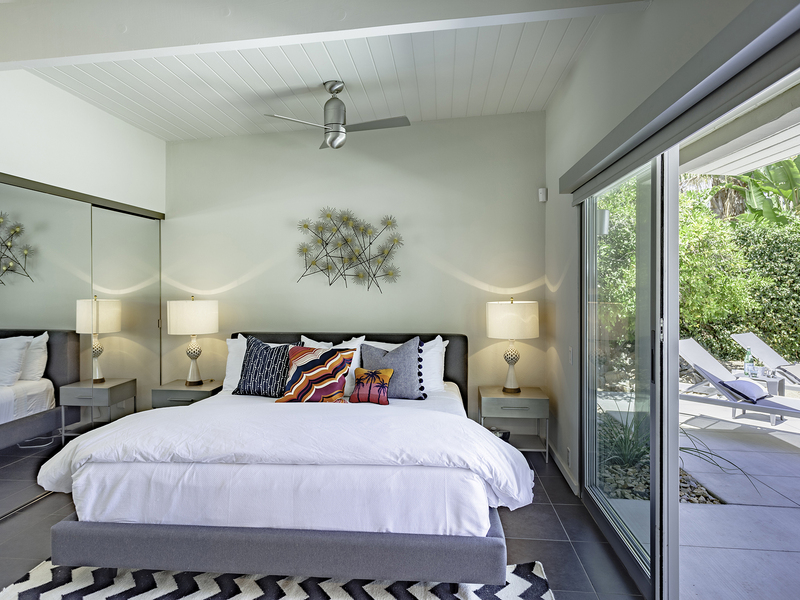 "There are so many amazing things about staying at the Beverly Modern in Palm Springs. The entire home is beautiful and decorated with a designer's eye. 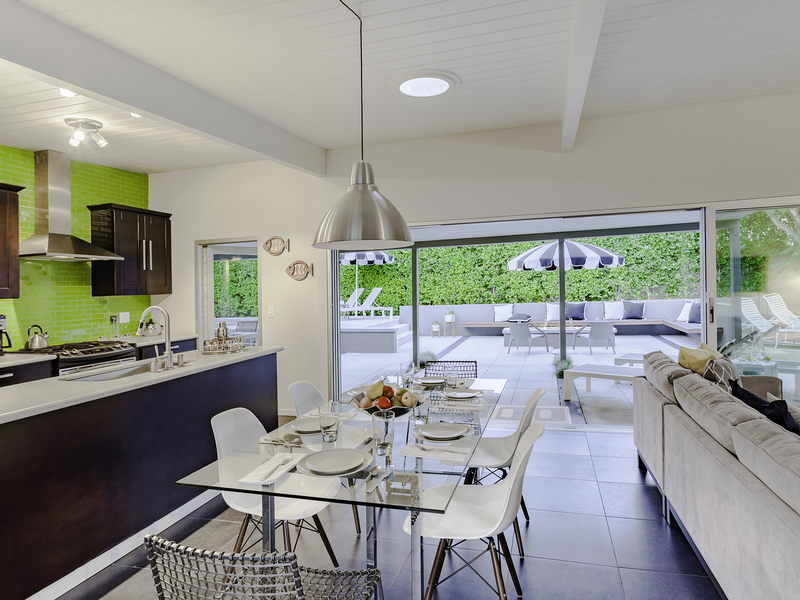 The living space is very chic and comfortable and the kitchen provides everything you could need! All of beds are very comfortable and the overall layout is ideal! The yard was perfect- a nice pool to swim in, ample seating, outdoor dining, a chic fire pit, and even a bocce court in the yard. I would recommend to all friends and family. 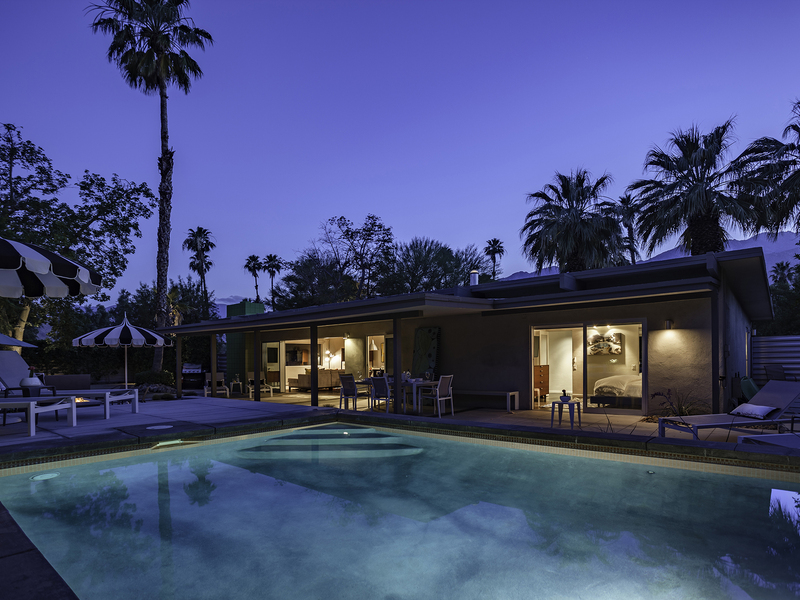 The house is truly a gem in Palm Springs." "Beverly Modern was absolutely amazing - it's even better than the photos we saw online before booking. The art and design was stunning, the outdoor area was a treat with the pool, lounge chairs and firepit. It was 115 degrees during our stay - the AC inside was perfect to keep us cool. 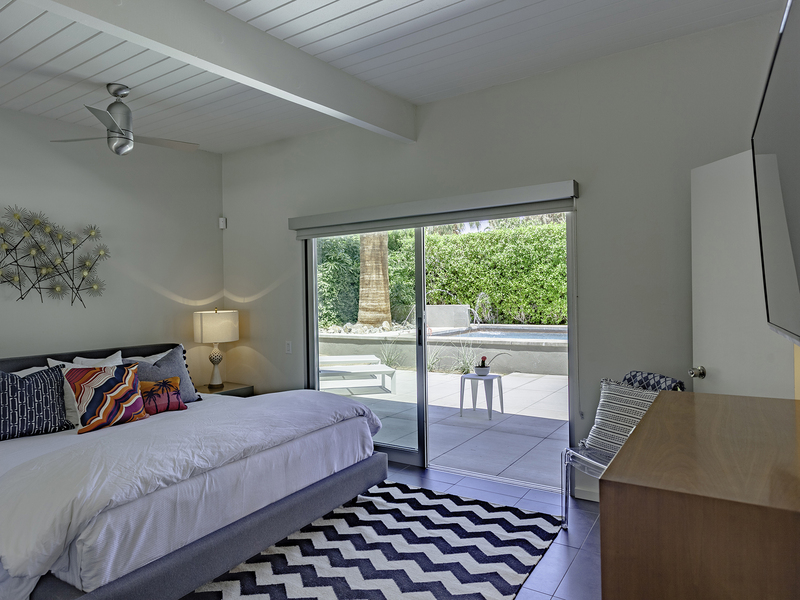 The main bedroom opened beautifully out to the pool area. The kitchen was stocked with everything we needed and more. This is definitely the place to relax. It's a $6 Uber ride to the main street of Palm Springs, so you are close to the restaurants and bars if you choose!" 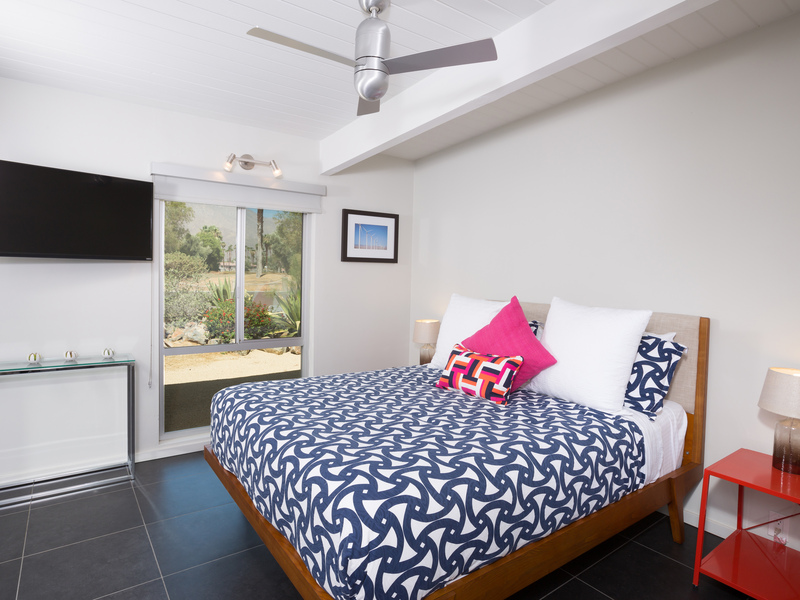 "I came to Palm Springs with a group of girlfriends and we stayed at Beverly Modern for a week. 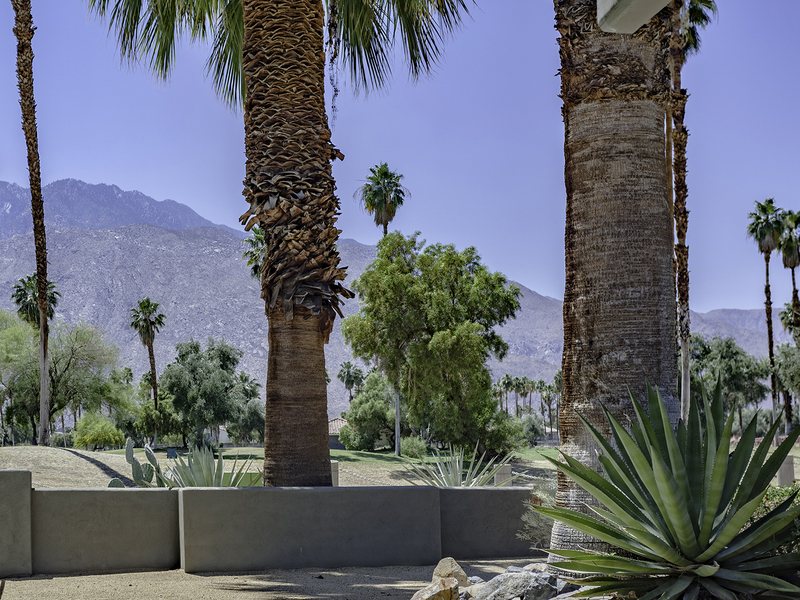 I am no stranger to Palm Springs vacation rentals, but I can confidently say that this was one of the best experiences I’ve had staying out here. I can’t believe it took me so long to find this desert oasis. 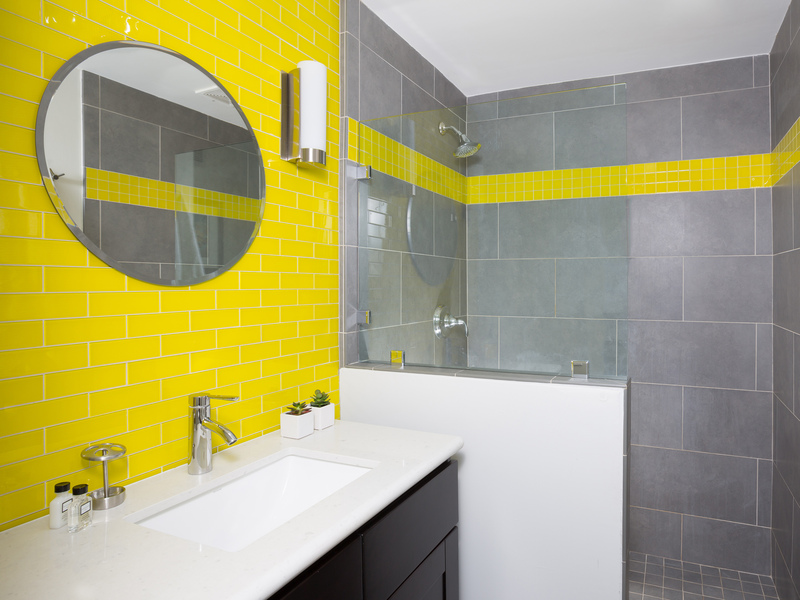 Down to the smallest detail, the entire property exuded immaculate glamour. Modern appliances outfit the retro mid-century home, transporting you back in time with all the conveniences of present day. When we weren’t lounging poolside in the picturesque backyard, we were having a blast relaxing inside, which felt like it belonged on the pages of an interior design magazine. When we decided to venture out of our amazing digs, the drive to downtown was only ten minutes away—super easy and convenient. This was truly an ideal getaway and it is obvious that the owners put a lot of time and effort into making sure that their property is perfect. It was so hard for us to leave, but after finding this fantastic spot it only gives us another reason to come back and book again." Everyone needs to know about this house! "Absolutely the best vacation home I have ever stayed in. Comfortable, peaceful and beautiful! Thank you! " 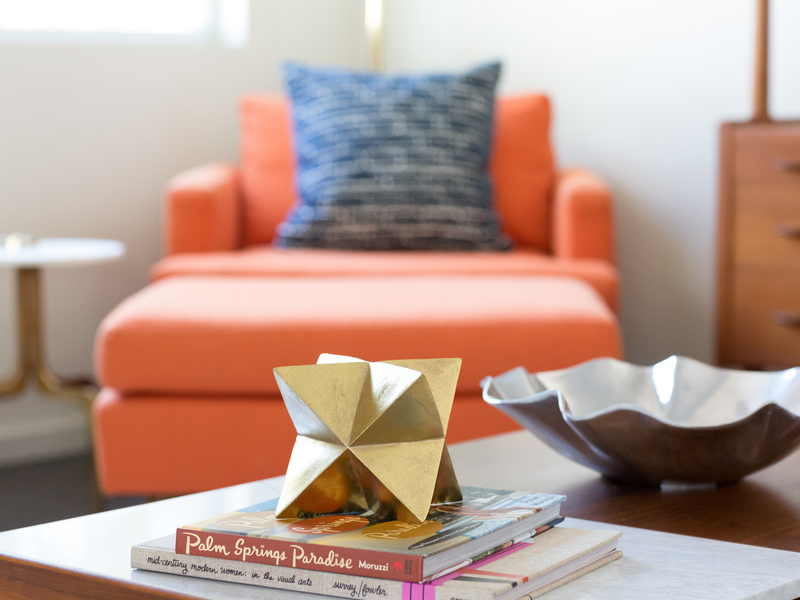 " We were looking for a place to stay for a girl's weekend and ended up choosing Beverly Modern. The house was welcoming and everything we needed was there. They have a beautiful pool and outdoor area (where we spent a lot of time) with a lovely fire pit and outdoor living area. The bedrooms were perfectly comfortable and the kitchen was stocked well with everything you need to cook at home. They have a manual on the house, and the area, in the kitchen when you arrive. Everything you need to know is in there. We used Uber to get around at night and nothing was further than 6 to 8 minutes away. We had a blast and Beverly Modern was an excellent choice! The next time I come to Palm Springs, I'm renting Beverly Modern again and bringing my boyfriend!" "Enchanting, endearing, fabulous!!! Girls weekend was epic! The house was so beautiful, and cozy. I will definitely be back. Great customer service, I will be recommending Beverly Modern to all my friends and family...Thank you again for such wonderful hospitality! Jenny B"